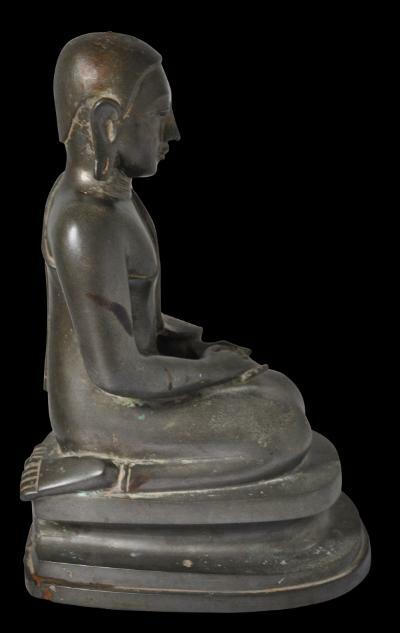 This good-sized image of a kneeling disciple on a tiered, oval base represents either the monk Sariputta or the monk Moggallana – the Buddha’s two chief disciples – and would have been placed before a large image of the Buddha in a temple or monastery as part of a shrine (hpaya khan). 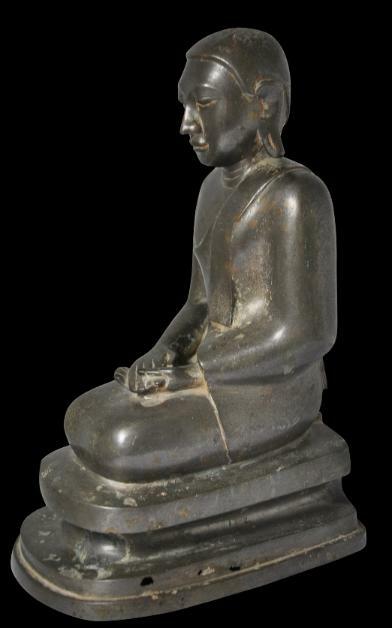 The face is tranquil and downcast, the hands are piously clasped and rest on the lap, and both feet are folded beneath the monk and pointing away from the object of veneration. The rendering is simple and uncluttered. 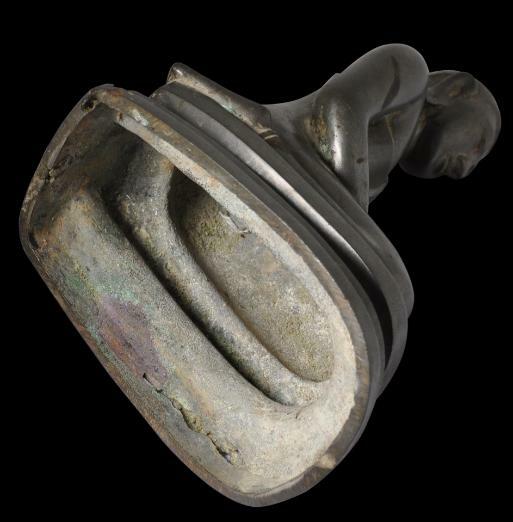 The image has been cast as a single piece in bronze that has a paler, greyer hue on account of a high tin content. 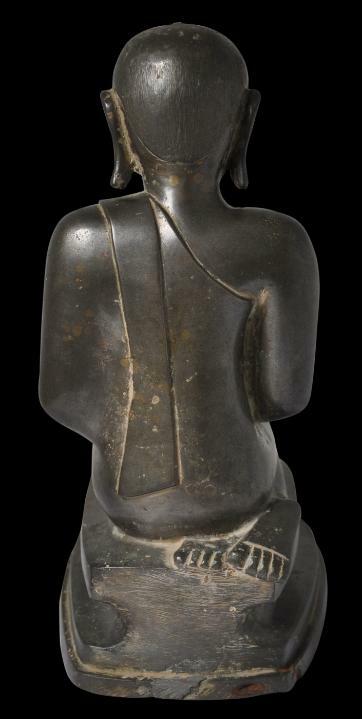 The image shows stylistic influence from the Ava period. There are no losses or repairs. Two small casting holes can be seen in the base, and there is minor age-related blemishing or mottling to the colouring of the bronze. 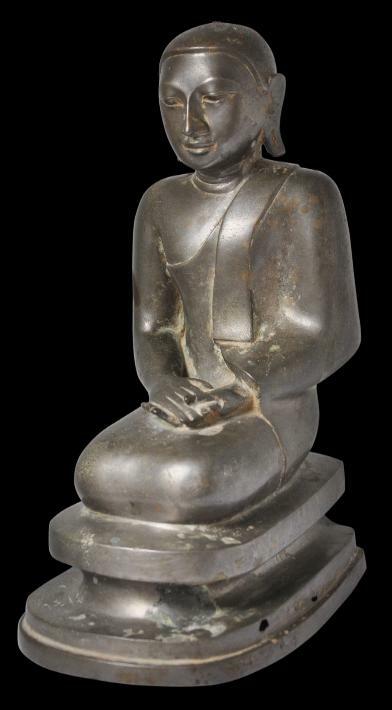 Karow, O., Burmese Buddhist Sculpture: The Johan Moger Collection, White Lotus, 1991.
private collection, UK. 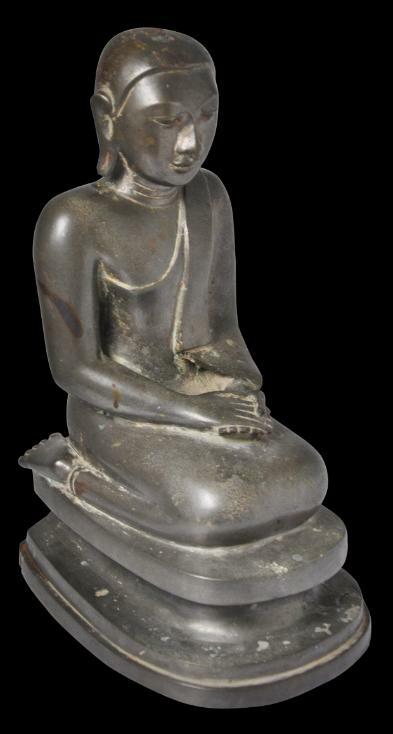 The previous owner built up a collection of Buddha images mostly from old UK colonial sources, and did so over a long lifetime.